After record setting cold yesterday morning, we are back to more temperate 7am temps . . . kind of. Basically, a drastic 40+ degree temperature change at Canaan (-19.5F yesterday @ 7am to 18F today @ 7am) . . . After that 40 degree warm up, it’s still only 18F! . . . that’s not warm to say the least. Snowshoe was similar, but not QUITE as drastic. 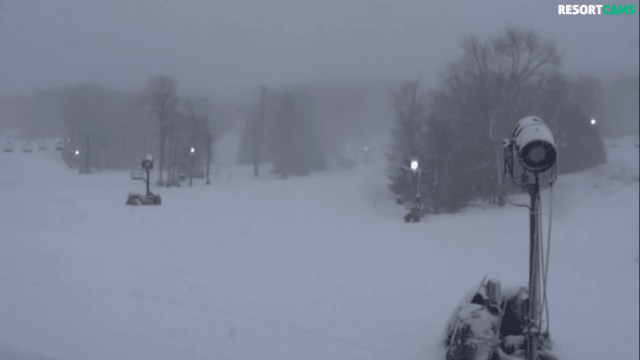 The snow storm that was supposed to come today, came early to parts of Maryland and West Virginia, with Wisp, Timberline, and Canaan all receiving 4″ overnight . . . It is still snowing this morning and COULD dump into tonight. I hate to make predictions with a ‘volatile’ storm like this, but those areas may see 8-12″ after it’s all said and done! Snowshoe may see 2-4″ today, as well. After all, we are now into February, which is one of the snowiest months of the year. The nice thing is that we are going to have a very nice weekend . . . everywhere. I think this might be a gem as we all begin to thaw out! Snow slams into West Virginia early . . . more accumulation expected today. Canaan Valley: 4.1″ overnight . . . more expected throughout the day. An additional 1-2″ tonight. Natural snow slopes (and XC skiing) MAY open this afternoon . 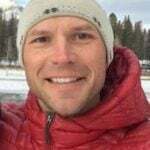 . . pending ski patrol. Snowmaking on 6 open runs and 1 unopened run. a nice perk for the over-nighters, “. 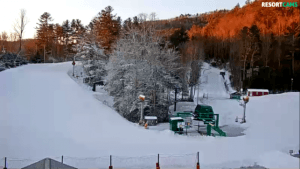 . . you can pick up your rentals and lift tickets for the next day after 7pm each evening at either the shop in Maggie Valley or at the ski area, so you are ready to go the moment you get to the area. 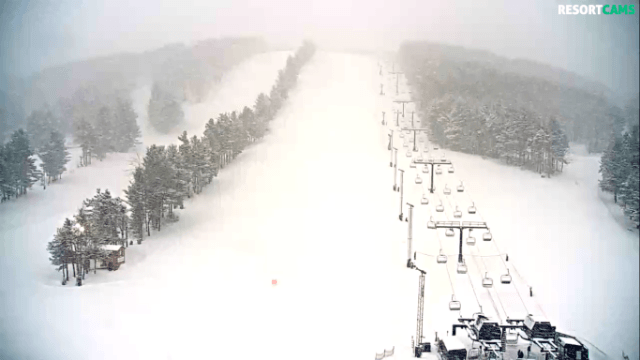 Wolf: Stats: 52″ groomed base (up from 51″ yesterday). 10 runs and 3 lifts open. Hours: 9am-10pm. Massanutten: “Cloudy with light snow possible, highs in the lower 30s. After an awesome snowmaking run the snow guns will be silent later today as the temps climb. Schools Out Special, $40 Slope-Use ticket if your school is closed for inclement weather. College Days today – $40 Slope-Use with a valid ID. Homestead: Annual Winterfest weekend begins today. All of our wintersports will be open. Bryce: 100% open terrain. 22″ of natural snow (to date) this season. Previous articleBoone’s Most Unique Ski and Snowboard Competition Returns for the Biggest Event Yet!